Arts and crafts can provide the perfect opportunity to relax – it’s almost like a form of therapy for even the busiest of minds. 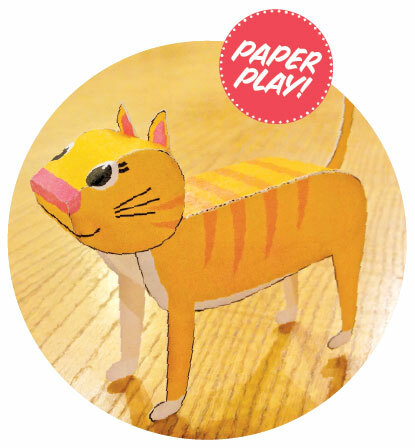 So why not combine two passions and get crafty by making a fun paper cat? Inspired by kirigami, the Japanese art of paper cutting and folding, this mini project is easy to do and won’t take too much time. It is a little fiddly, though, and ideally needs cutting out with a scalpel so is not aimed at youngsters. If you need an easy craft project for children, try the simple instructions for making a cat tent. 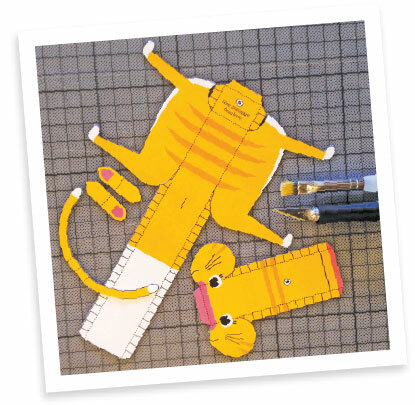 Download the cat template here and print it in colour on your white card. You’ll see that each section is clearly numbered, directing the construction in stages. Once you've cut out all the sections, insert the ears (numbered 1) into the ear slits on the head (numbered 2), fold along the dotted line and glue the tab to the inside. Fold the sections of the head as directed by the dotted lines. Fold and glue the tail (numbered 3) back-to-back, insert into the tail slit on the body and glue the tab to the inside. Fold the sections of the body (numbered 4) as directed by the dotted lines. Glue the assembled head to the section directed on the body (numbered 5). Thank you to Modern Cat for allowing us to recreate this article.